I Am a 2010 Team Beachbody Coach Winner! You are here: Home / Beachbody Coach / I Am a 2010 Team Beachbody Coach Winner! I love this company and love being part of this business! Success Club is the go-to recognition and rewards program for Team Beachbody Coach! As a member, you’ll be handsomely rewarded for consistently working the activities outlined in the Game Plan, day after day. At Team Beachbody®, hard work can take you a long way. Every Coach—new or veteran, and regardless of rank—can easily participate and earn sweet rewards (in 2010, Coaches earned cash, surf boards, boogie boards, Caribbean cruises, and much more). There is no limit on the number of Success Club Qualifiers, so get your whole Team on the next luxurious Coach destination! 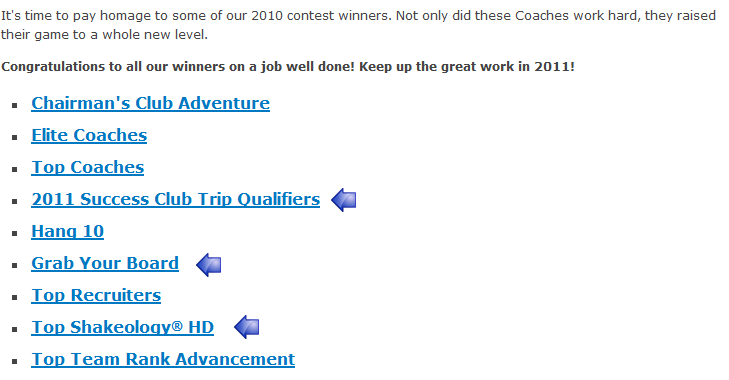 For 2010, I was excited to qualify in 3 categories! 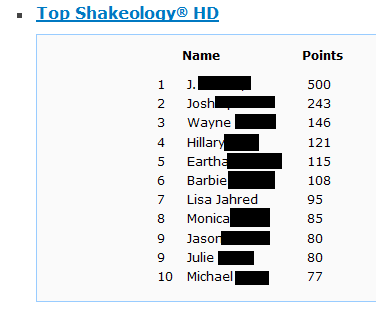 Out of 50,000 Coaches, I was so proud to rank number 7 for Top Shakeology Home Direct sales, qualify with 250 other coaches for a Caribbean adventure, and excited that I’ll be receiving a Beachbody blinged out Boogie Board for being 1 of 139 Coaches that qualified to win one! I’ll receive the real one in March, at which time I’ll replace the image! How did I do it? Just by following the Game Plan we already have in place. That’s it! If you are considering joining this business, let’s go! The rewards are amazing and all this just for helping others get healthy! Imagine that! Start Your Team Beachbody today! You’ll get personal mentoring by me too!